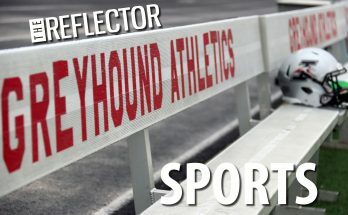 The University of Indianapolis women’s tennis team nears the end of their season with a win-loss record of 13-0, making this season their winningest in Greyhound history. With a rigorous match schedule, the women have beaten various opponents including Ball State University as well as their highest ranked opponent to date, Hawaii Pacific University, who holds the No. 4 position. The women are led by Coach Malik Tabet. 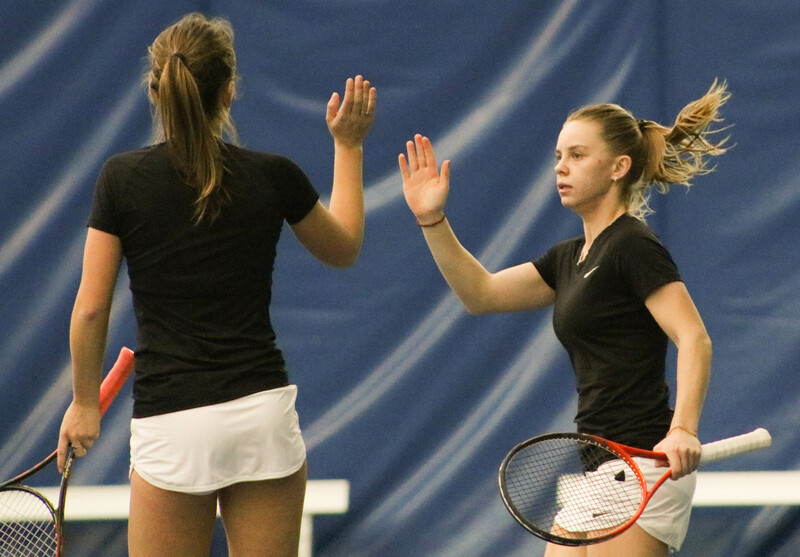 Senior Hannah Volikova high fives her teammate after scoring a point in their doubles match. Nearing the end of their season, the womens’ tennis team is 13-0. The team is focused on winning the Sweet 16 tournament and is hoping to make it to Nationals. Tabet said that their wins come indirectly from the hard work they have been putting in during practices and matches. According to Tabet, the freshman class has been one of their greatest advantages and strengths throughout the season due to the effort across the board from every player, which has made the difference between leaving with a win or a loss. According to freshman transfer student Anna Valiaeva, their winning streak is a product of their hard work. She said although the team felt pretty good, they had no expectations for their record going into the season and they will continue to fight throughout the rest of it. 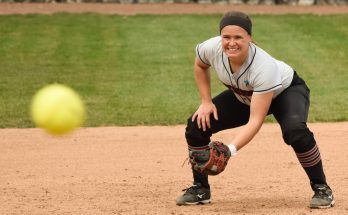 The women start their conference tournament at the end of April, but according to Tabet, they have their eyes and minds focused on the Sweet 16 to make it to round two. To further prepare as the season makes its way over the halfway mark, according to Tabet, the team will wind down in terms of intensity so that players are well rested for this sort of competition that is ahead. According to Valiaeva, the individual achievements are an afterthought while in mid-season, and have little significance until evaluating the season as a whole and the team as a whole. 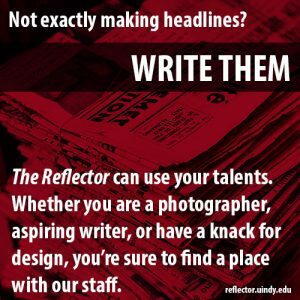 According to Tabet, it has become apparent that this team will have a legacy at UIndy. They are a well versed team that has proven in their record that they can and have achieved very highly. Tabet and Valiaeva already recognize that this team has made UIndy history and are instead thinking decades down the road about a legacy.